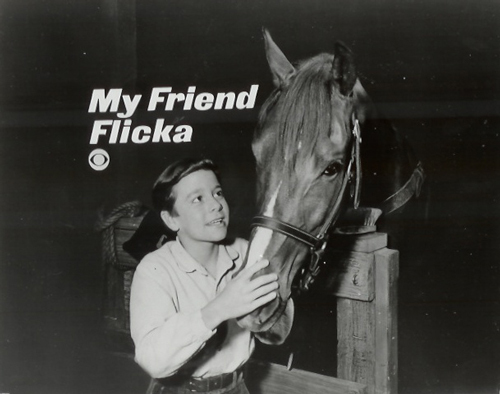 Johnny Washbrook made many personal appearances—especially throughout California—during the heyday of the My Friend Flicka series. 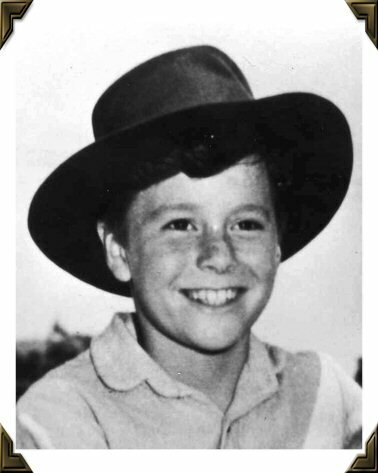 Among them was an autograph signing he attended with his mother and older brother Don in 1956 on the stage at Belmont Park—the large amusement park on the beach at Mission Beach in San Diego. He shook hands with each in the long line of other kids who paraded up onto the stage to meet the boy they secretly wished they could be. He flashed his famous smile, asked their name, and gave them a small photo of himself and Flicka with a preprinted autograph on it, as a souvenir of their meeting. He wore his trademark shirt, brown corduroy trousers and brown cowboy hat. 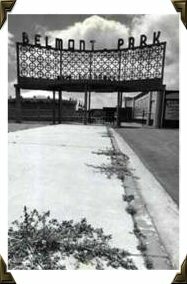 Afterward was perhaps the best part for him, for he got to walk through the amusement park with his mother and brother, riding the bumper cars and enjoying the other rides and amusements. 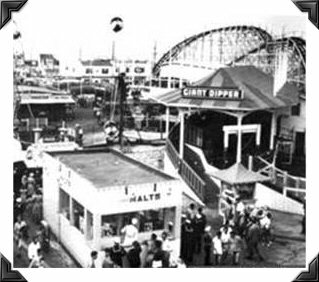 The Belmont Park stage itself is but a memory now, and the whole park got a modern transformation a couple of decades ago, but the historic roller coaster and the Mission Beach Plunge are still there (the stage was across from the main entrance to the Plunge, with its back to the boardwalk). 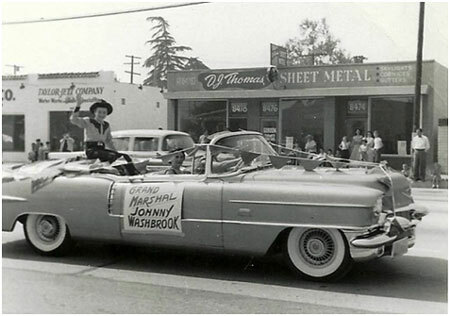 The following year, 1957, Johnny was proud to be Honorary Grand Marshal of the 10th Annual Mother Goose Parade in El Cajon, California. In fact, he apparently set a standard for celebrities in the famous parade. 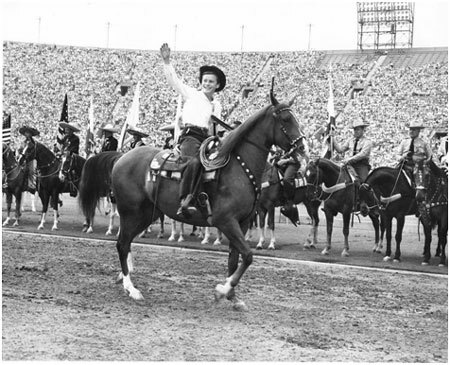 Before that, the Grand Marshals were military officers, but soon afterward a galaxy of well-known stars who relate to children began to headline the parade, and the tradition continues to this day. The Mother Goose Parade is the largest parade in San Diego County, and the largest of its type west of the Mississippi. Each year—on the Sunday before Thanksgiving—thousands of spectators converge on the streets of El Cajon to view the famous parade. A list of all of his personal appearances is too large to list here, but this gives you a sample of the interesting and fun events in which he got to participate, in helping to publicize the series (no doubt a lot of driving for his parents, though). John Washbrook made an appearance at his first public celebrity event in more than fifty years with his presence at the Memphis Film Festival "Gathering of Guns" in June of 2009--along with several other well-known western television stars. 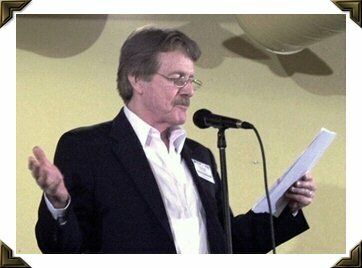 This is an event at which Gene Evans also appeared many times. To see the flyer on the 2009 event, click here. 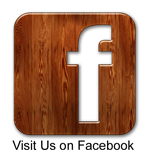 You can find information on both current and past "Gathering of Guns" by going to their site from our Links page. John Washbrook appeared at the 33rd Annual Western Film Fair in Winston-Salem, North Carolina on 14-17 July 2010. It was held at the Clarion Sundance Plaza Hotel on University Parkway. Also appearing with John were Bobby Diamond of the Fury TV series, John Saxon, Donna Douglas, Randy Boone, and several other western stars. The event provided a rare opportunity for Johnny Washbrook and Bobby Diamond-the top two all-time "boy and his horse" TV stars--to re-connect with each other after all these years. 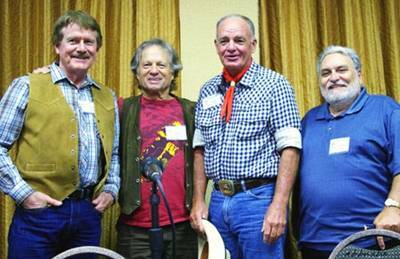 John made his second appearance at the "Gathering of Guns" TV Western Reunion on June 2 - 4, 2011. It was once again held at the Whispering Woods Hotel and Convention Center in Olive Branch, Mississippi. a 20 minute drive south of Memphis. 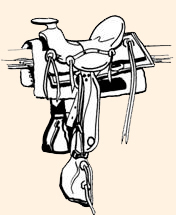 Thanks to its great organizers, Ray Nielsen and Boyd Magers, this western celebrity show (the biggest of its kind) gets bigger and better every year. 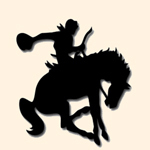 Others who appeared at the intimate venue in 2011 were James Drury, Roberta Shore, Randy Boone, Gary Clarke and Don Quine from The Virginian; Robert Fuller and Dennis Holmes from Laramie; Peter Brown from Lawman; James Hampton from F Troop; William Smith and Robert Wolders from Laredo; John Saxon, who guest starred on many a TV western; Bobby Diamond, Robert Mobley and Jimmy Baird from Fury, and several other TV western stars. You can go to their web site from our Links Page to get more information on this terrific event. remember Mobley from his starring role in Disney’s Gallegher TV series as well.